Israel inaugurated a new medical school on Sunday, the sixth medical school in Israel, and the first in Judea and Samaria. 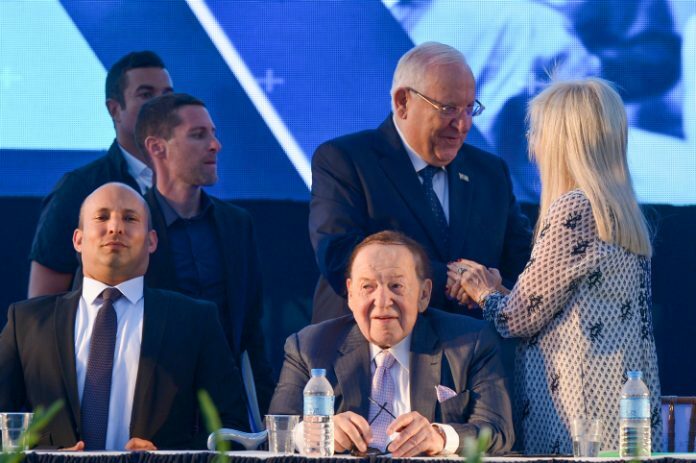 A ceremony at the new facility was attended by Israeli President Reuven Rivlin, Education Minister Naftali Bennett and Deputy Health Minister Yaakov Litzman, as well as backers of the school: American Jewish billionaire Sheldon Adelson and his wife, Dr. Miriam Adelson. Ariel University has faced serious attack by the BDS movement, which has attempted to get the university and its academic staff boycotted in institutions of higher education around the world. Ariel University has been the subject of multiple boycotts by academics, including by dozens of radical-left Israelis, because of its location. In February, Bennett pushed forward legislation to grant colleges and universities in Judea and Samaria the same legitimacy as other Israeli schools under the auspices of the Council for Higher Education — a step that enabled Ariel University to move forward with the establishment of its medical school, which will welcome its first 70 medical students next fall. The new school will be named after its benefactors, the Adelsons, who are donating $20 million for the university’s expansion, including as many as 12 new facilities to serve students. “True Zionism is to know what belongs to us by virtue and to use it for the benefit of the entire world,” she added. An Israeli Ministry of Health study showed that Israel has below the OECD average number of doctors per patient, with 3.1 to every 1,000 patients. The study also showed that more than 58 percent of Israeli physicians went to medical school abroad — almost three times the OECD average of doctors being trained outside their home countries. The disparity is attributed to the large number of young Jewish students who want to be doctors and the small number of medical programs in the country. Previous articleBolton, Rivlin Discuss Challenges for Israel, U.S.